Bloggers have a lot of clothes. I’m sure that doesn’t come as a surprise to you! But just like everyone else, we have our favorite pieces that we can’t stop wearing again and again and I’m already figuring out what pieces I’m going to be living in this spring. 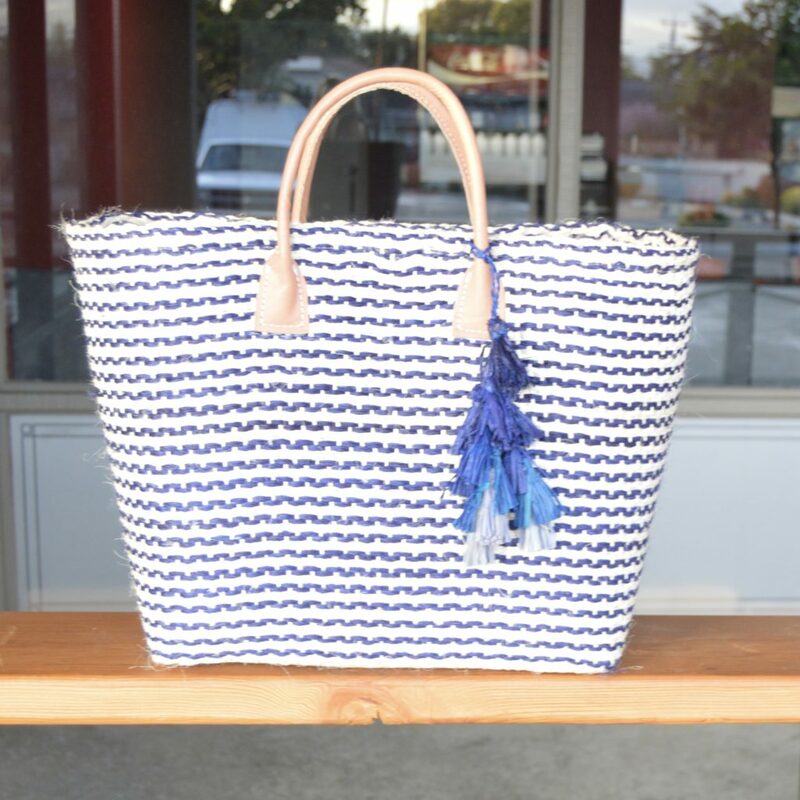 From Soft Surroundings, I’m loving this oversized straw tote with the real leather handles and cute tassel detail. 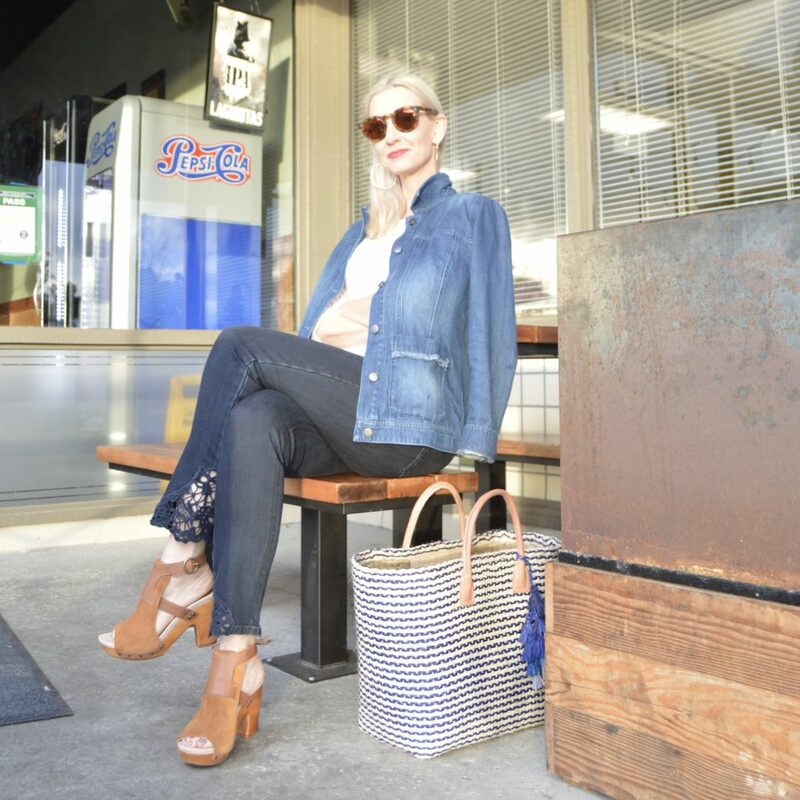 I’m also crazy about these comfy jeans with the lace detail at the ankle. They’re feminine without being too fussy. Soft Surroundings is offering my readers a special discount code now through 4/15, get $10 off when you spend $75 with code SPRINGFLING. I’m also wearing these cool hand-hammered earrings from Soft Surroundings. They’re a bit big and heavy for every day, but they’re perfect if you want to add a little sophisticated glam to a look. They get bonus points for having silver and gold tones! And yes, I’m wearing my new J.Jill denim jacket again and I hope you’re not too tired of seeing it because it will be back very soon! It’s just super soft and comfy, roomier that my old denim jacket, and I’ve just been kinda living in it. So share, Dolls … what do you think you will be living in this spring? In case you missed it, here’s my original post about these shoes with all the details. And did you get a chance to read about the 100% Pure beauty brunch? 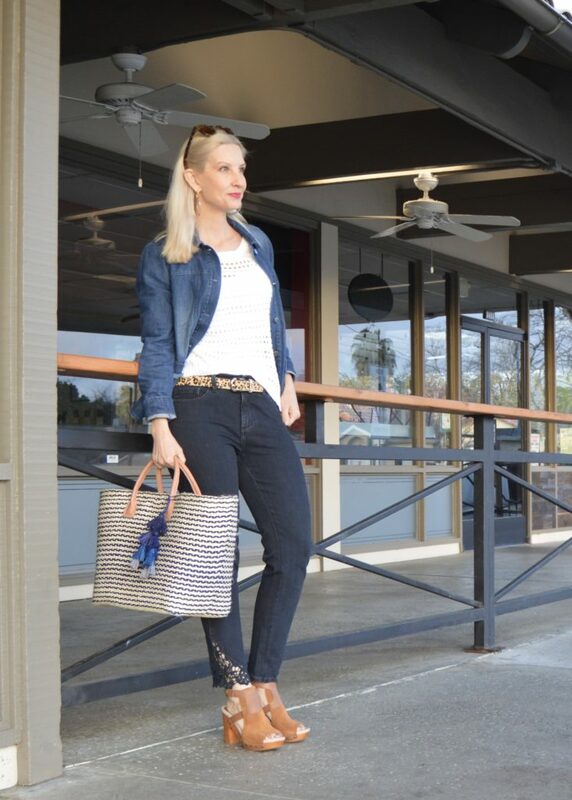 Be sure to shop back Friday Eve (also known as Thursday evening) to see another pair of cute and comfy sandals and to join the link up party fun! Disclosure: Items from Jambu, Soft Surroundings, and J.Jill are all gifts from the brands. Link Ups: Visible Monday! Shoe and Tell! #iwillwearwhatilike link up! Hello Monday! Mix It Monday! How I Summer! Creative Mondays! Turning Heads Tuesday! Confident Tuesday! On Trend Tuesday! Style Perspectives! Trendy Wednesday! Style on the Daily! What I Wore! Jersey Girl Texan Heart! Color and Grace! Thursday Fashion Files! Labour of Fashion! Thursday Favorite Things! Thursday Moda! Top of the World Style! Welcome to the Weekend! Passion for Fashion! Fabulous Friday! Fab Favorites! Flashback Fashion Fridays! Weekend Wear Link Up! Edge of the Week! Nancy’s Fashion Style! Ladies Who Link Up! Hope you are having a godd week so far! After being so busy last week, I’m enjoying a relatively quieter week and looking forward to the Easter long weekend. I am drooling over those Gina sandals – they are hot!!! Thanks, Kellyann! I’m LOVING them too!